Combined Heat and Power Generation is a concise, up-to-date and accessible guide to the combined delivery of heat and power to anything, from a single home to a municipal power plant. Breeze discusses the historical background for CHP and why it is set to be a key emission control strategy for the 21st Century. Various technologies such as piston engines, gas turbines and fuel cells are discussed. Economic and environmental factors also are considered and analyzed, making this a very valuable resource for those involved with the research, design, implementation and management of the provision of heat and power. Paul Breeze is a journalist and freelance science and technology writer and consultant in the United Kingdom. He has specialised in power generation technology for the past 30 years. 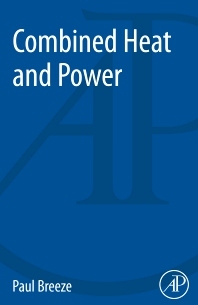 In addition to writing Power Generation Technologies, Second Edition, he has contributed to journals and newspapers such as The Financial Times and The Economist and has written a range of technical management reports covering all the aspects of power generation, transmission and distribution.